The mission of the Kauai Tahiti Fete is to continue the cultural connections between Kauai/Hawaii and French Polynesia (Tahiti), thru dance, music, art, language, cuisine and traditions. 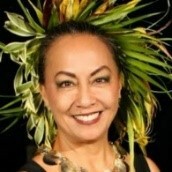 The Kauai Tahiti Fete will provide a fulfilling and educational experience for all participants, residents, and visitors, by highlighting the performance of Hawaiian/Tahitian dance and music, and presenting educational programs in the traditional arts and crafts to the youth in our community. We are dedicated to providing a viable infrastructure to support, promote, and initiate these cultural programs and activities. Proceeds raised from the Kauai Tahiti Fete at this time are used to cover the expenses of the event itself. The Kauai Tahiti Fete works in partnership with a Tahitian Delagation, as a component of "te Avamo'a"
On behalf of our ancient rulers of Kaua’i and Te Avamo’a - Tahiti Delegation, we are proud and honored to have the safe passage of our Pacific Cousins to journey to our island home of Kaua’i, Hawai’i. 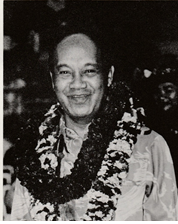 Uncle Joe Kahauleilo , a respected entertainer and Kumu Hula (Hula master) created the Kauai-Tahiti Fete Educational & Cultural Program, on Kauai in 1971. After traveling to Tahiti and learning from renowned Tahitian Kumu Coco Hotahota, Uncle Joe recognized the similarities of the Tahitian and Hawaiian cultures and their long shared history. His festival demonstrated this kinship. After the 1977 Fete, Uncle Joe moved to California, staging the festival in Sacramento, and Kauai lost this colorful event. 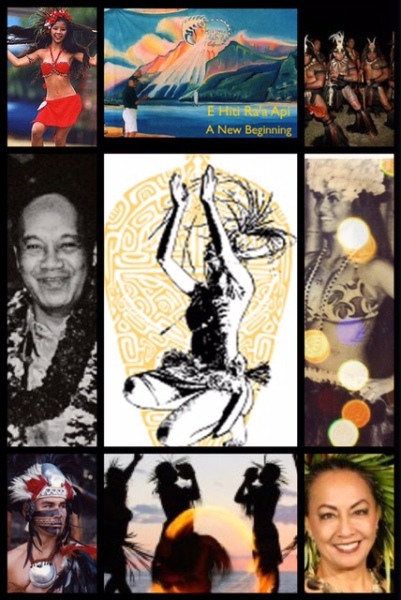 When his health failed in 1986, Uncle Joe returned to Kauai and asked his Alakai, (lead dancer/student) Carol Akau- Casil, to reestablish the Fete on Kauai, and to fulfill his dream of a true cultural connection between Tahiti and Kauai. Since 1987, Carol Akau-Casil and team, worked together and revised this event and worked very hard to retain and expand this spectacular festival, and succeeded in establishing a signature event for Kauai. It grew from a one-day competition to a full week long celebration. In 1992, a true connection was created when Tahitian dancers, artisans, and government dignitaries traveled to Kauai to interact with their counterparts. In 2000, Carol and team took a long break. In 2012, Carol decided to hold a mini festival for the youth of Kona. In 2013 she brought 50 Marquesan's to Kona and established their first connection. In April 2014, Carol, along with core team members, Eriki Marchand and Kuulei Mahinai, all agreed it was time to rekindle the flames of the past and reconnect Kauai with Tahiti/ French Polynesia. 2016 will be the rebirth of the Original Kauai Tahiti Fete. Learn more about the history of the fete with this documentary from 1997's festivities.